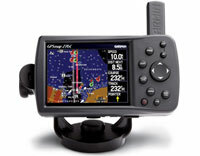 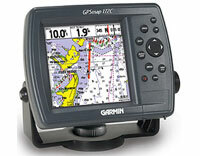 Garmin g2: UK & Ireland; Large EU706L (010-C0651-00) | Discount GPS Accessories from mysatnav.ie Ireland's leading GPS & Sat Nav store. 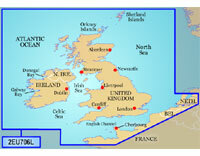 Detailed coverage of Ireland and Britain in their entirety, including the Irish West Coast, Irish Sea, Isle of Man, Caledonian Canal, Outer Hebrides, Shetland and Orkney Islands, Isle of Wight, and the Thames Estuary. 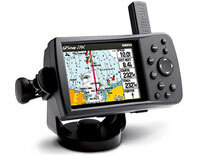 Coverage across the English Channel to Cherbourg, France, including the Channel Islands.